Having bigger and deep set eyelid is what woman commonly wants nowadays. I normally use double eyelid sticker for daily basis, but mostly it doesn't work for monolid. 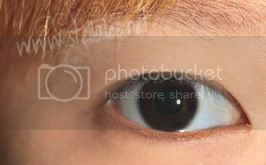 If you're white, or arabian, or Indonesia, or whatsover, you probably already have deep eyelid. But mostly mongoloid race such as Japanese, Korean, Chinese, dont have it. 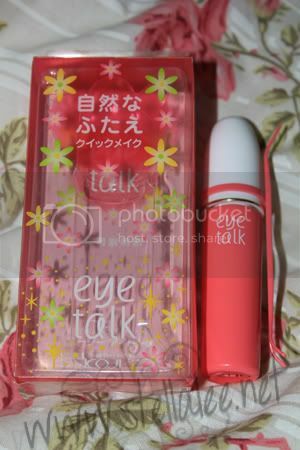 Koji Eye Talk is the most popular eyelid glue to make your eyelids bigger! The product is sent to me by MyLovelySister as a review purpose ! Koji Eye Talk double eyelid maker creates natural and beautiful double eyelids.It contains moisturizing plant generated ceramide and skin tightening Rose hip extract.Great for beginners for making double eyelids.Â To have charming eyes, this one definitely is the one you are looking for, it helps to define your eye lid perfectly. This Eye Talk Glue contains moisturing ingredient rosemary extract, which moisturise your skin around eye area. It is transparent in color after application. The product itself comes with a pink plastic packaging, the product packaging is plain pink and white color and honestly it looks cheap. 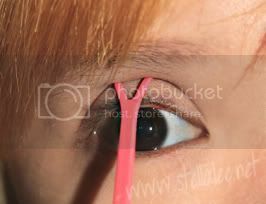 It comes with the Y stick to help you create the bigger eyelid, which can be attached to the product so dont be afraid to lose it :-D You can also create different types of eyelids as you wish. I love no 1 because it has biggest and deepest eyelid in my opinion! Truthfully my eyelids are uneven. My left one is double eyelid, while the right one is sometimes double, sometimes monolid. So this is my right eye when it's monolid :-) I believe the before and after will be more visible with it! Also the difficulty level is somehow medium, because you need to practice to get used to it. Can't go well with one try la, just learn it. But I find that it's the best eyelid glue I've ever tried so far. I tried Etude House 66 Big Eye Line Charm and it doesn't create eyelids as nice as this one, also somehow its failed wtf. But yet, since I have oily eyes, eyes got watery easily too, it doesn't stay long on my eyes. Probably only 2 hours. So make sure to keep your eyes matte whenever you use it ok! But overall, this one is a great product for every monolids out there who want to have bigger and deeper eyelid! Because somehow eyelid tape can be too shiny, and eyelid fibre is expensive yet difficult to use. By practicing a few times, I'm sure you can grasp how to use it well. The key is practice! How about you? Do you have double eyelids or monolids? :-D Are you impressed by Koji Eye Talk as well? Koji eye talk is pretty easy to use, but yeah, works better on monolids than a small double eyelid. lol yes, but for better result, i really like double eyelid fibre! it looks gorgeous and much much natural than other types, but expensive and difficult for beginner :-\\ have you tried it? So hard at first i did my lids and they look uneven haha... :laugh: I wonder do u apply eyeshadow before or after eye talk and eyeliner? hahaha yes it needs a few of practice! yeah.. i have double eyelid, but i also impressed with this product. Hi ^^ I'd like to know if this tape could make my eyelids narrower? Because I have quite big double eyelids but I think I look better with them smaller. Is there a way? Like putting the glue lower..